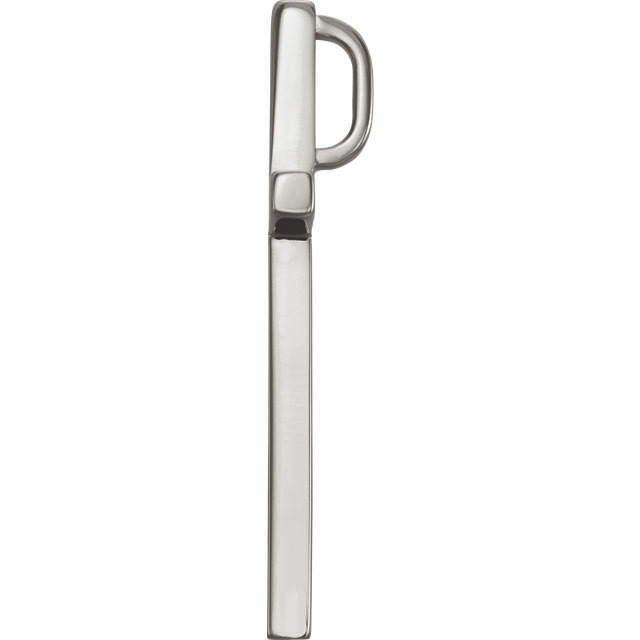 A plain polished platinum cross necklace with hidden bale for women. 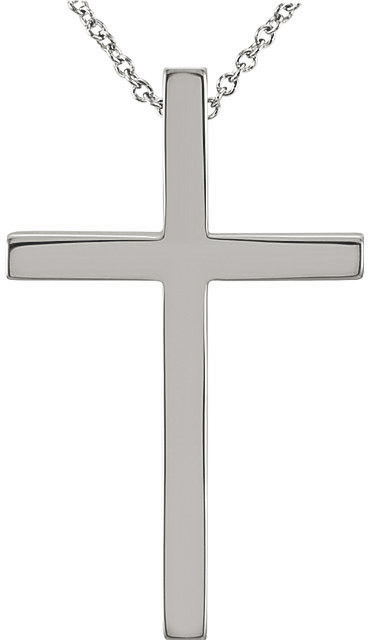 The cross pendant measures 1" tall x 0.62" wide (25.75 x 15.75mm). The necklace is a matching 1mm platinum cable chain. Also available in yellow gold or white gold (shown below). Made in 950 pure grade platinum. If you prefer no chain and want the cross pendant on its own, simply choose the "no chain" option to the right under "chain length". "And it shall come to pass, that whosoever shall call on the name of the Lord shall be saved" (Acts 2:21). We guarantee our Platinum Cross Necklace with Hidden Bale for Women to be high quality, authentic jewelry, as described above.